Okay, I have to be honest with you guys. I may seem like a "girl's girl" for the most part....but I'm really kind of not. Confession: I don't really know how to put on make-up. I dabble a bit and am able to do what's necessary for me to look nice when stepping out, but really, I have no real skill and I find it a bit intimidating. I've been slowly making an effort to learn get better, and when I was sent this Studio Gear Smoky Eye Holiday palette, I has happy to have something else to practice with. This palette truly has everything you need to achieve the perfect smoky eye, and I love how it comes with "instructions" of sorts. It definitely came in handy! The end result, I was pretty happy with. This was my first try. The camera's flash sort of washed out some of the "smoky-ness" (I promise it was there), but I'm sure the next go 'round I will get it right! 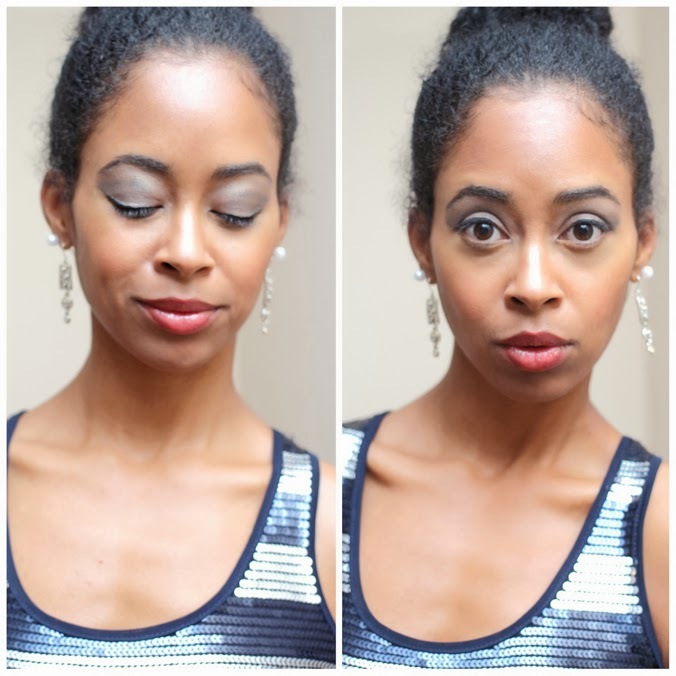 I truly do appreciate the dramatics of a true smoky eye and think it's perfect for those holiday events. Wish me luck that I get it down pat before I have to step out in my party dress later this month. By the way, the blush color is PERFECT. I may make this my go-to blush. Studio Gear Cosmetics is offering my readers 10% off their purchases by using the discount code: SGHOLIDAY at checkout. 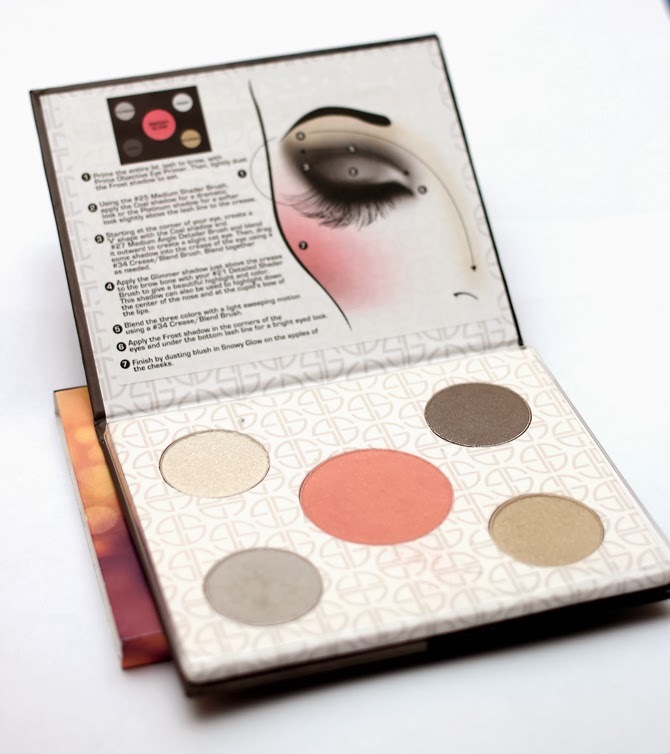 Be sure to take a look at their products at www.StudioGearCosmetics.com. They have all of your beauty needs! I look forward to reviewing some of their other stuff! I'm the same way when it comes to makeup. I can make it acceptable to go out but have no idea how to really apply. I think you did great. Thanks! I'm great. Hope you are the same. I am bad with eyeshadow and blush. I do ok with everything else but those two smh. Check out this guy on youtube ... I think his name is Gossmakeupartist. I am sure a google search will find him for you easily. He is very good at explaining how to put on makeup especially for beginners! I'll be sure to google that guy. I need all the help I can get! It's actually a really good attempt! Flash and all. I think it's a nice clean smokey eye, nothing overly dramatic. Sweet and subtle. I am a sucker for the smokey eye look but these days I fail at perfecting it. Good luck! I'm sure you'll master it in no time. Hey Nik, I had never heard of Studio Gear cosmetics. Thanks for the info.. and i love the instructions, cause my smokey eye always looks like i'm a racoon. Will def try this site.